At a media conference held earlier today (June 26) at St. Peter Catholic Secondary School in Peterborough, the Peterborough Victoria Northumberland and Clarington Catholic District School Board (PVNC) celebrated a new $650,000 investment to improve the welding program at the board’s six secondary schools located in Peterborough, Cobourg, Lindsay, and Clarington. After more than a year of planning, the board will install 36 new fully outfitted welding booths at its secondary schools between now and the end of August 2018. 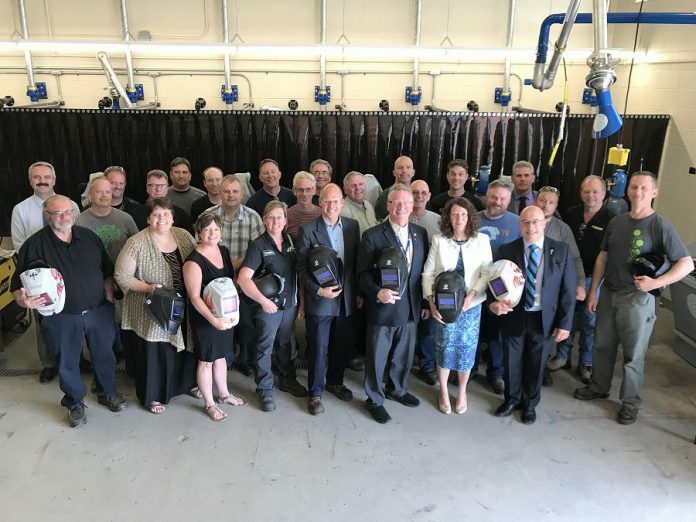 The project will also help train teachers on the most current welding techniques, with more than a dozen educators undergoing enhanced welding training attending the media conference. 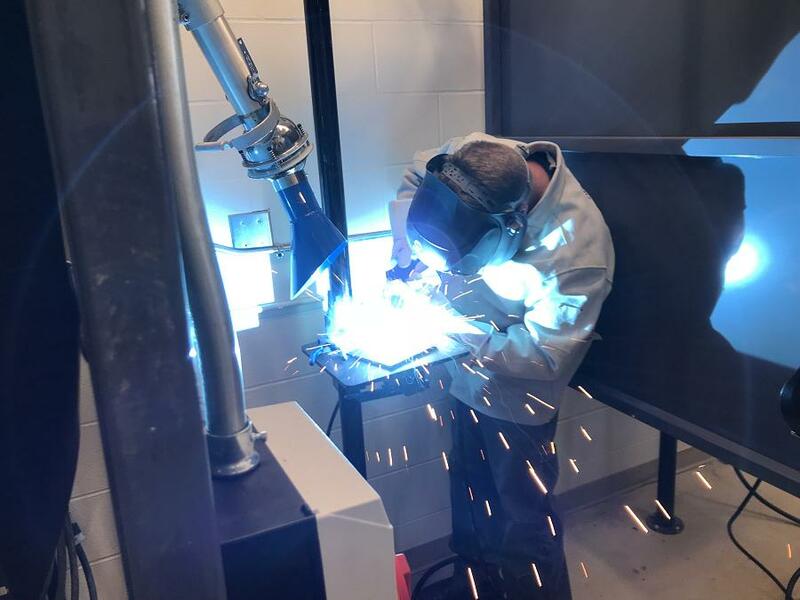 The board’s improved welding program will offer students enhanced learning and better prepare them for co-op placements as part of Specialist High Skills Major programs and Ontario Youth Apprenticeship Programs throughout the region. The new welding facilities will also allow PVNC to enchnce partnerships with local colleges including Fleming, Durham, and Loyalist. Local aggregates equipment company McCloskey International donated all of the 36 welding booth structures, and CWB Welding Foundation — a national charity that supports Canada’s welding industry by increasing public safety awareness in welding and addressing the welding skilled trade shortage — funded around half of the project. 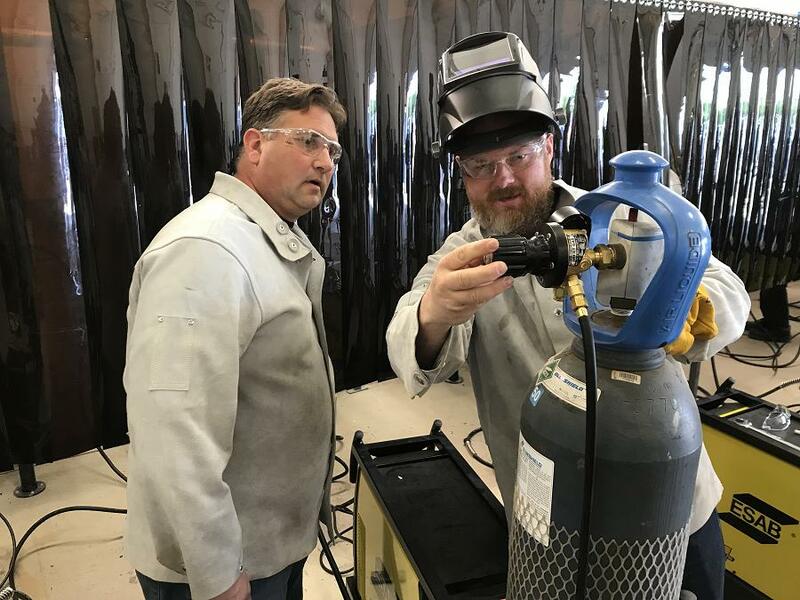 “PVNC has proven to demonstrate a great interest and commitment in improving its school welding facilities and upgrading educator welding skills,” said Andrew Bartlett, acting executive director of CWB Welding Foundation. 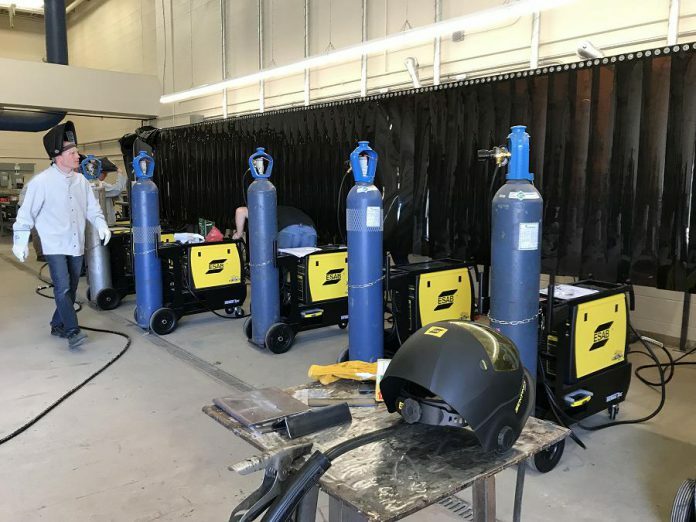 The new welding booths are being installed this month at Holy Cross and St. Peter Catholic Secondary Schools in Peterborough and St. Stephen Catholic Secondary School in Bowmanville, and will be installed by August 2018 at St. Thomas Aquinas Catholic Secondary School in Lindsay, St. Mary Catholic Secondary School in Cobourg, and Holy Trinity Catholic Secondary School in Courtice.